Parkland survivor and student activist David Hogg was recently accepted to the University of California, Irvine. But according to CNN, Hogg has decided to take a year off after graduating from Marjory Stoneman Douglas High School in May. Hogg’s mother, Rebecca Boldrick, told CNN on April 9th that Hogg is planning to work on the midterm elections during his gap year. Hogg’s decision to take a year off post-graduation comes after several Twitter storms, which revolved around his future college education. On March 16th, Hogg tweeted that he had been rejected from yet another college. 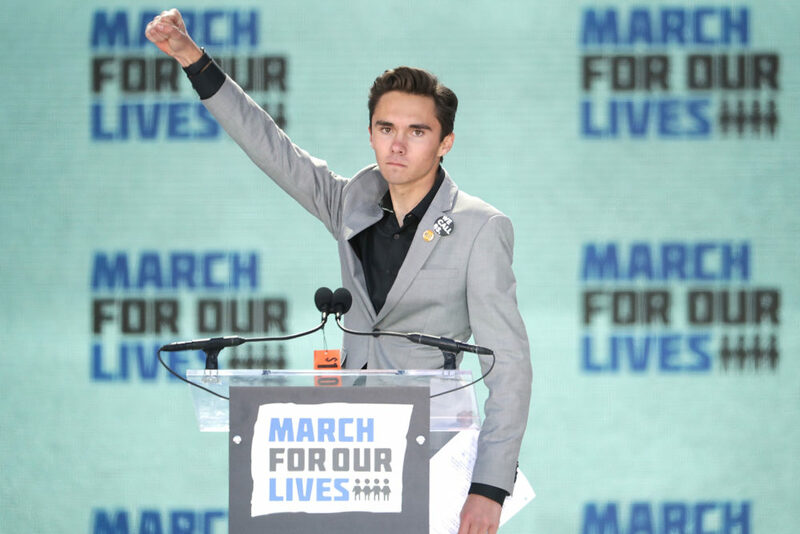 "But that’s ok," Hogg added, "we’re already changing the world. Goodnight everyone." Fox News Host Laura Ingraham later ridiculed Hogg in a March 28th tweet for “whining” about his rejections. She later apologized to Hogg after his supporters pressured companies to pull their advertisements from her show. And Hogg is no stranger to online attacks from those who disagree with his politics. Jamie Allen, a conservative commentator for an ABC affiliate in St. Louis, has been suspended from his nightly news show for a vulgar Twitter attack on Hogg. Thankfully, Hogg isn’t letting the pettiness and negativity stop him. He’s already started the conversation and debate around the upcoming midterm elections. He’s been vocal about his dislike for Florida’s Governor Rick Scott and has encouraged others to educate themselves on why they shouldn’t reelect him later this year. Hogg has also reminded his followers to stay vigilant about the NRA and their donations to Republican candidates. Remember the NRA is counting on us forgetting we haven’t and we won’t. Midterms are just around the corner. We’re thrilled Hogg has decided to dedicate a year to fighting for a better government. If he can rally 800,000 people to march for their lives and the lives of students everywhere, we’re confident he can make an impact on voter turnout at the midterms.